Short circuits, blue smoke, and a collection of DIY projects, experiments, tips and tricks in electronics. Since the introduction of the first logic gates ICs and the Intel 4004 and later the Motorola 6800, I’ve been always interested in digital electronics and microprocessors. 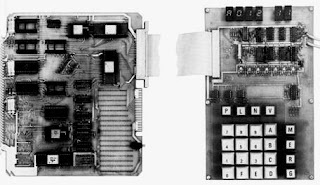 I had a lot of fun with the legendary 4004 but I really learned a lot about microprocessors when I was able at school to put my hands in one Motorola MEK6800 D2 evaluation kit and later due my involvement with Texas Instruments a TMS9900 evaluation board. It was an interesting challenge in those days to develop certain applications due the limitations in memory space and processor speed. I learned to program these antiques entering the code directly in a hexadecimal keyboard. I can still today recite parts of the 6800 instruction set. No doubt that since the introduction of the 4004, microprocessor technology has evolved tremendously and even following Moore’s law I could have never imagined the computing power and features that we can find in today’s microprocessors. But there was something that caught my interest couple of years ago and in which I’ve been working lately, microcontrollers. While a microcontroller does not have the same feature set and processing power of modern microprocessors, they are very suitable for a vast number of applications and include many features and peripherals that may have required a large collection of integrated circuits in the past. And they are everywhere!! If you drive a relative modern car, chances are very high that your car may have a dozen of them, many appliances today replaced electromechanical controls by microcontrollers, your garage door opener use them, and you may even find them in pregnancy test sticks. I hope through this blog to share some of my experiences dealing with microcontrollers and related devices. Currently many of the projects I’m working on are based on microcontrollers from Microchip Technology, but I’ll include some posts about Atmel, Texas, Freescale and others. © 2018 Jorge Amodio. All Rights Reserved. Awesome Inc. theme. Theme images by sololos. Powered by Blogger.